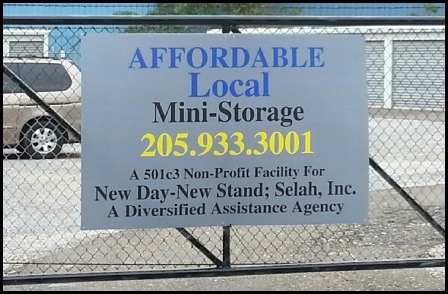 Affordable Local Mini Storage in Bessemer, Alabama and Birmingham, Alabama is a 501c3 Non-Profit program which helps the funding of New Day-New Stand; Selah, Inc.. New Day-New Stand, is a Diversified Assistance Ministry Group & Residential Housing Organization, for men and women. 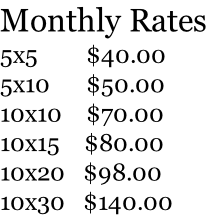 Furnishings from small home with appliances, or an average trailer and boxes of furnishings from a a small home with appliances or an average trailer & boxes. 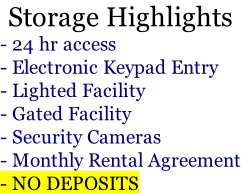 Interior boat storage, cars & trucks.